With her heart fully in-front of the camera and her second-to-none creativity behind, Laura captures incredible, timeless photographs of your pets. 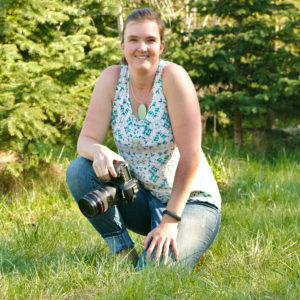 Laura is an award-winning photographer, and you can find some of her recent work displayed at McMaster Innovation Park. It was after several years of everything from people, to nature, her travels, and the sights that could be found in her hometown of Hamilton, that Laura finally discovered her ultimate photography passion when she got her rescue dog, Abby. Since then, it has been pets, pets and more pets! From her work with rescue dog organizations, to her seasonal celebration pup-shoots, to pet portraits that hang in Munchies Coffee & Barkery, and the incredible close-ups of horses and animals on the farm… Laura is officially pet-obsessed and it shows! She has an uncanny ability to capture some of the most naturally stunning and also incredibly FUN photos of our furry friends.